Join us learn and apply the Word of God this August. OUR YEAR OF RICH FULFILLMENT ---. 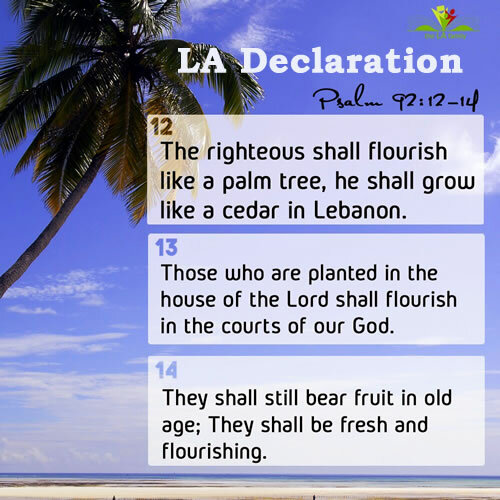 Welcome to LA family’s month of accessing growth in God. Join us this August Learn and apply the word of God. 1. Father, I receive grace to walk in wisdom this year in Jesus name. 2. Lord, drive foolishness far away from my life in Jesus name. I receive a heart of wisdom. 3. I receive grace to learn and apply the word of God this year in Jesus name. 4. I will reap the benefits of wisdom this year in Jesus name. I will excel in every area of my life. 5. I receive the spirit of wisdom and of the fear of God in Jesus name. Every 3rd Sunday of every other month, LA Family meets in different locations all over the world to encourage one another as we journey through the Word. 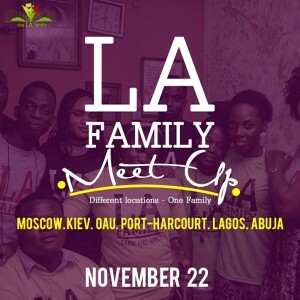 We hope you will make it to our next LA Meet Up.